Anime isn’t just exclusive to Japan anymore. As Japan has opened its borders to the world, anime has been able to influence the global animation industry. But it’s not a one-way street. 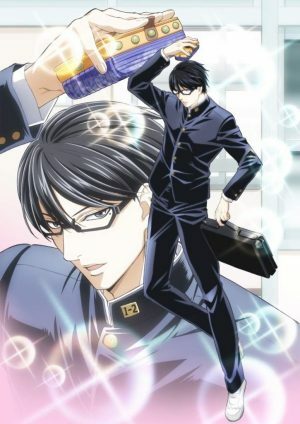 In return, Japan has learned more and more about the world, and as such, it’s much more common to find anime that take place outside of the ever-comfortable setting of Japan. In particular, the good ol’ US of A has been a popular setting due to the very close relationship the two countries have shared over the past few decades. 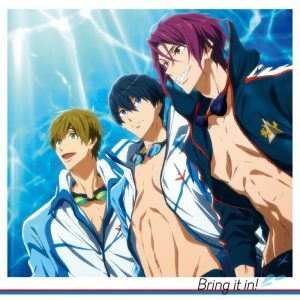 With so many anime set in the US, there’s a lot we didn’t get to last time, so we thought we’d take the opportunity to count them down and update our existing list! Orphans don't get a chance at life. However, Judy Abbott appears to be the exception. She was just living her life as a poor orphan in New York when one day, she's given a scholarship by an unknown figure. His only request is that Judy writes him letters every month. She catches a glimpse of his shadow and notices his abnormally long legs, henceforth dubbing him “Daddy Long Legs”. Now Judy's got to figure out how to live at the classy Lincoln Memorial school and make sure she doesn't miss out on this opportunity! 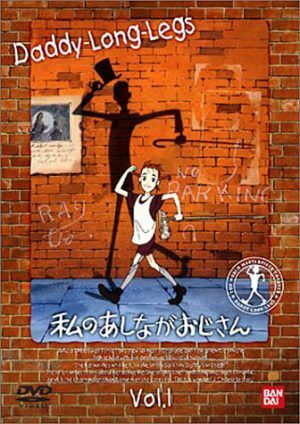 Watashi no Ashinaga Ojisan is actually an adaptation of Jean Webster's novel Daddy Long Legs. It changes a few key aspects of the plot, but it does remain one of the only anime adaptations of early 1910s New York that doesn't involve organized crime! Also, due to this adaptation being written long after the 1910s, the writers were able to sneak in more references of major events of the era to make it feel more alive and consistent. The name “New York City” is just a piece of trivia for most these days. Now it goes by a different name: Hellsalem's Lot. Why? Because all the strangest creatures in the world reside there now. Fishmen, vampires… you name it and you can find them. This is because, three years ago, New York City inexplicably got caught in an interdimensional shift and now residents of both realities are stuck living together. 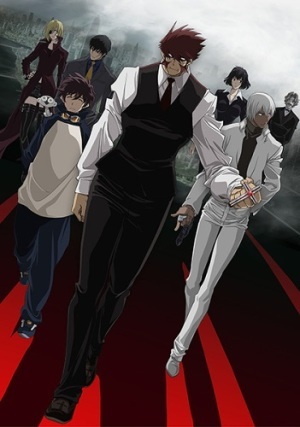 Kekkai Sensen follows the adventures of Leo Watch making use of the power of ultimate sight to save his blind sister from her fate! 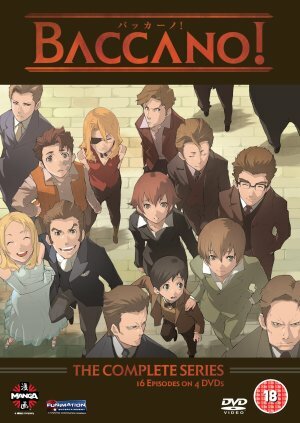 The original Kekkai Sensen manga comes from author Yasuhiro Nightow, who avid manga readers might recognize as the author of Trigun. It feels only appropriate that the only returning entry on this list comes from source material that's from an author so enamored with American media culture. This time, he moves away from Spaghetti Westerns and finds familiar ground in police dramas. 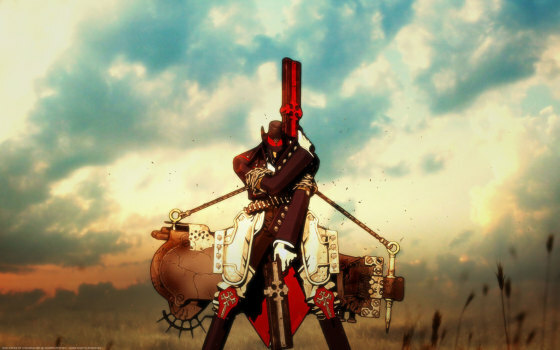 It's a perfect combination of procedural and supernatural like Trigun was Western and sci-fi! What’s more American than baseball? Honestly… quite a bit. Nowadays, American Football and Basketball are far and away the more popular sports. Meanwhile, it would be safe to say that baseball has largely become the favorite Japanese national pastime. But baseball still serves as an important cultural foundation of America, as it’s representative of the country’s export culture. That’s what’s so great about Major Season 6: it showcases the symbiotic relationship of Japan and America that sprung up due to baseball. The Marches were just perfectly happy living right outside of Gettysburg. However, it’s unfortunate that they just happened to be living in 1863 as well. This does not end well for them, as Union forces end up destroying their home while stealing anything of value within. Now they’re living in Newcord with a crotchety aunt and her greedy, antagonistic son David who both make life hell for them. 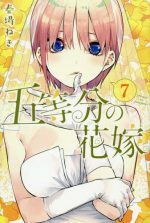 Can the girls make due with their new life? Yes, you’re reading this correctly. 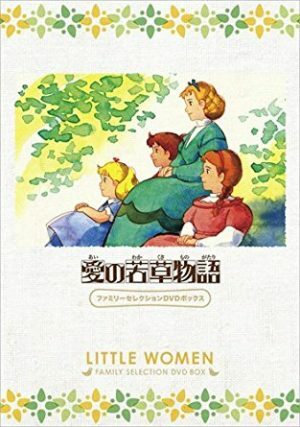 This is, in fact, a loose anime adaptation of Louisa May Scott’s famous Civil War era novel, Little Women. Ai no Wakakusa Monogatari was actually made as part of Nippon Animation’s World Masterpiece Theater program, where they would take famous stories from other worlds and adapt them into anime for kids to enjoy. 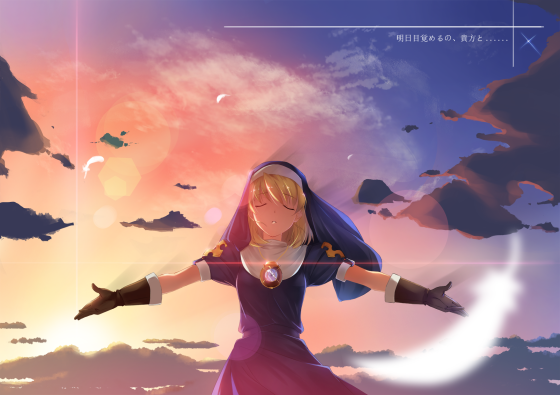 Dog of Flanders and Heidi of the Alps were also part of this initiative, but Ai no Wakakusa Monogatari is the most famous and regarded of the stories that actually took place in the USA. A loving family, a fabulous mansion, good friends… Angelo Lagusa had it all. There was just one catch: his father was a mob boss. During some turf warfare, Angelo’s family was shot down in their home by the Vanetti family and, perhaps by miracle, only Angelo was able to make it out alive. For the past 7 years, he’s been living in isolation, but Angelo’s brought back out when he receives an anonymous letter that requests his presence. Now he’s returned home to Lawless, Illinois under the pseudonym Avilio Bruno with the hopes of infiltrating the Vanetti family ranks and taking his revenge from within. Prohibition era America is a common setting for anime, as with many other entries that made our last list! This might be due to the fact that drugs are still an incredibly taboo subject in Japan, with many people pretending that they don’t even exist. However, that doesn’t erase the problem of actual drug crime, so many disguise these stories as period pieces set in the US as a reflection of a current problem in Japan. 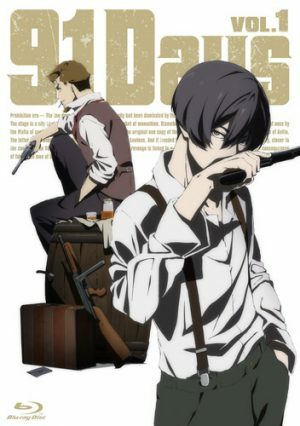 91 Days itself is a classic mob revenge tale based on the intertwining politics of mob rule, making it an extremely unique story to find in an anime. There’s an illegal weapons shop set up in America run by 2 former criminals. There’s Rally Vincent, who’s a master of gunplay and works as a bounty hunter on the down-low. Then there’s Minnie May, who just loves a good explosion. And while she doesn’t technically work for them, they’ve also got Becky Farrah in their pocket, who seems to know a little something about everything. Together, they form the Gunsmith Cats. Despite this OVA coming out in the mid-90s, Gunsmith Cats feels right at home with 80s action cheese shows like The A-Team. 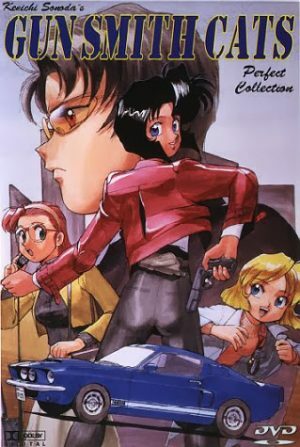 This might be due to the fact that the author of the original manga, Sonoda Kenichi, was a huge fan of Western police dramas and wanted to give that genre a shot with his own style. Gunsmith Cats would go on to inspire the moodier late 90s/early 00s anime scene with shows like Cowboy Bebop and Trigun, making it a symbol of the West’s influence on Japanese animation. It’s so easy to dream when you’re a child. That’s why Mutta Nanba once boldly proclaimed to his brother Hibito that one day he’d become an astronaut. 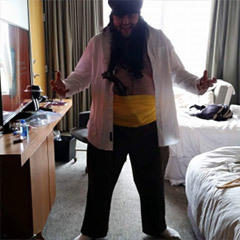 But, of course, as Mutta got older, he realized that adult life would just get in the way, and somehow lost the drive to pursue his childhood dream. Now he works at a car company as a salaryman while Hibito is actually living Mutta’s own dream as an astronaut. So you can understand why, when Mutta’s boss starts bad mouthing Hibito to Mutta’s face, Mutta had no choice but to headbutt him. Now without a job, Mutta decides on a whim to submit an application to NAXA (Japan’s version of NASA), only to be shocked by the results! 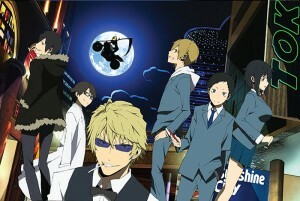 While Uchuu Kyoudai often takes place in Japan and space, quite a bit of it takes place in the US too! 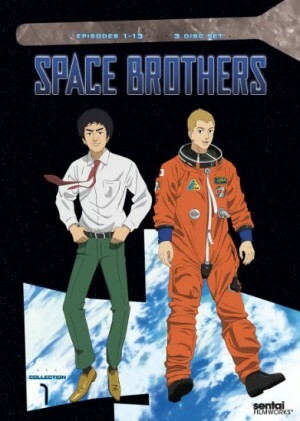 Mutta and Hibito take frequent trips to the John F. Kennedy Space Center and the Lyndon B. Johnson Space Center, with a shocking level of accuracy to boot. This is not your average “This is what Japan thinks the US is like” story, but a near perfect recreation of Florida and Texas. That alone makes it a notable. Doesn’t the Mafia just pervade every aspect of American life? 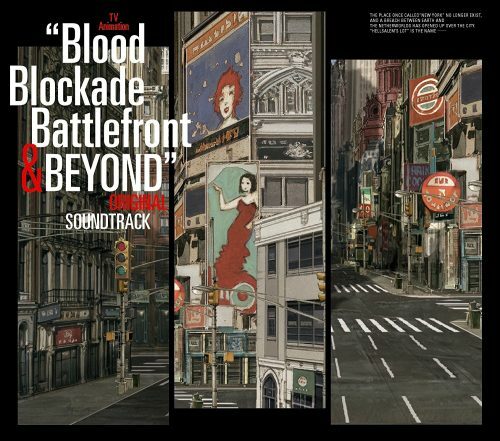 Murder is everywhere, and hits are taking place out in the streets! However, there’s one company you can blame for that: Inferno. They’ve got an upper hand in the crime business too with their superior product, Phantom—an unstoppable killing machine that works as an assassin. 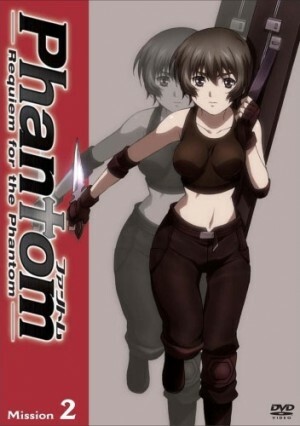 One day, a random Japanese tourist catches Phantom on the job and sees that they’re actually a beautiful young woman. Rather than dispensing of him, she captures him, brainwashes him, and turns him into her assistant, Zwei. 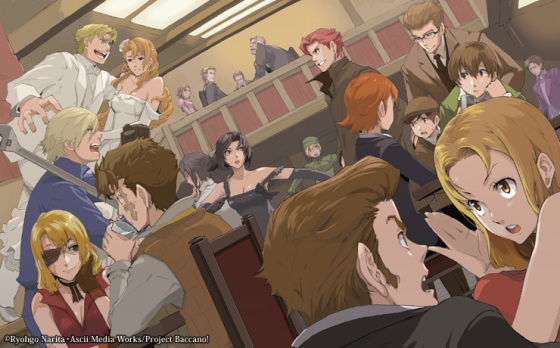 While Isekai are the new hotness, there was a very strange period of time in the mid-to-late 2000s when adapting honest-to-God adult Visual Novels was the major trend. Studios would take the base story, remove the juicier bits, and turn it into a perfectly coherent story. 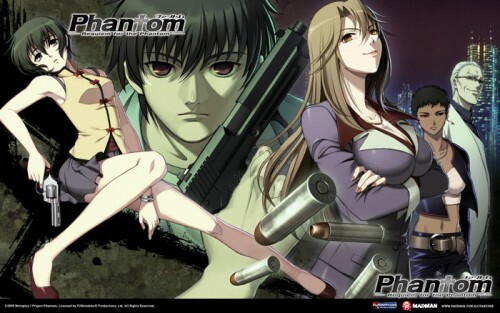 Phantom: Requiem for the Phantom is one of the best from that odd period of time, and it’s an American story too! 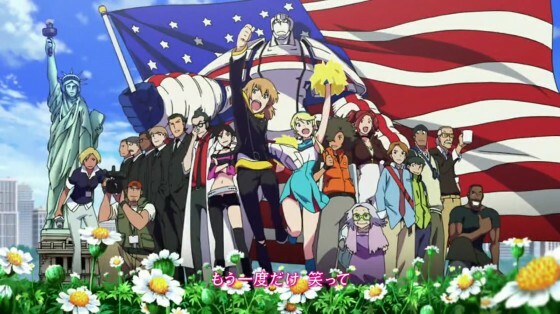 The plot revolves around the main characters attempting to escape America and get home to Japan, using the scope and size of America as a backdrop for just how unreasonably difficult this task truly is. 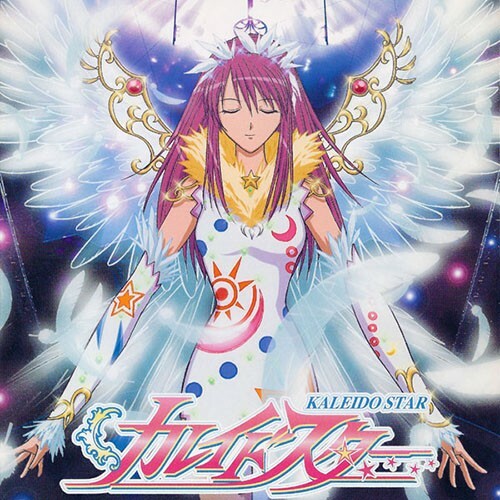 Naegino Sora has dreamed of performing with the California-based Kaleido Star production troupe ever since she was a young girl. She’s trained to become an acrobat, and finally, she’s booked herself an audition! She travels across the sea just to perform, but, as she learns, basically nothing works out as she wants it to. That doesn’t mean she’s giving up, though! 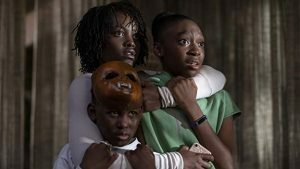 In fact, for some reason, only she can see a strange spirit named The Fool, who informs her that she’s been chosen by the stage as a woman of destiny. 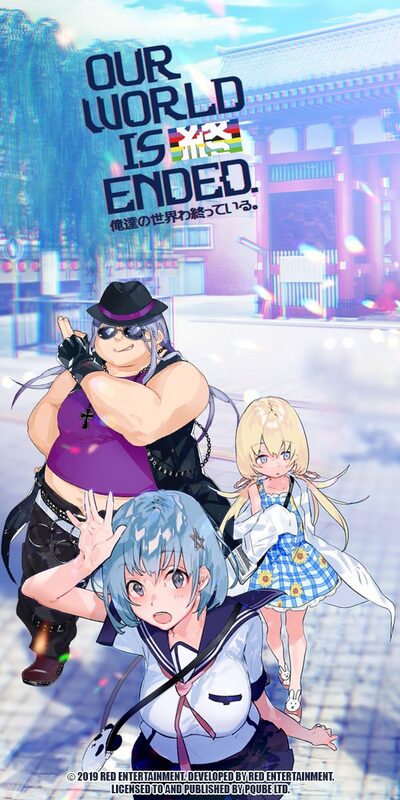 Kaleido Star is novel for being a series that takes place in the US that’s not about gang warfare. 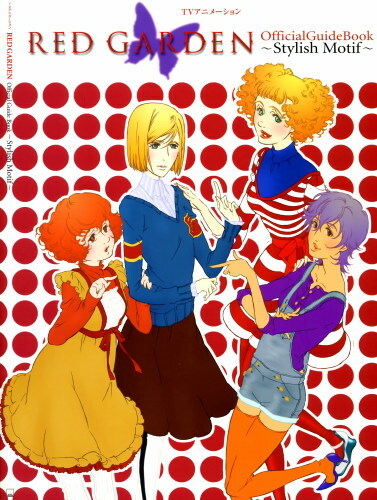 In fact, it’s the incredibly rare series where it’s a story in the US that wasn’t designed to appeal to boys! However, Kaleido Star’s message is exceptionally earnest and can appeal to anyone beyond its target audience of teenage girls. 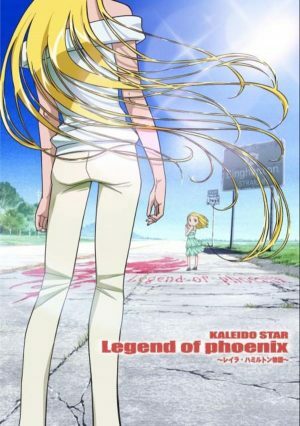 Really, even though Kaleido Star takes place outside of Japan, it feels like a very universal story that could be set anywhere, but they chose California because it was an area very familiar to a Japanese audience but still far enough away that Sora would feel like a fish-out-of-water without any safety net. 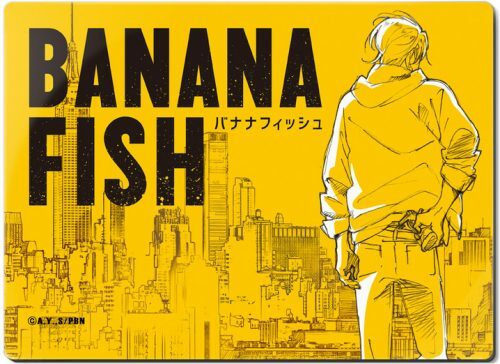 Just what exactly is Banana Fish? It’s not just a reference to a J.D. Salinger short story. It’s been 12 years since the end of the Iraq War, and that’s all Griffin Callenreese can say since he got back. His younger brother Ash Lynx (real name: Aslan) wants to know why exactly his brother is constantly repeating this strange phrase over and over. This question is eventually answered once Ash gets his hands on a drug of the same name. Ash begins his investigation, but his boss, Dino Golzine, does not approve. This sets off a chain of events that will alter the course of history forever. 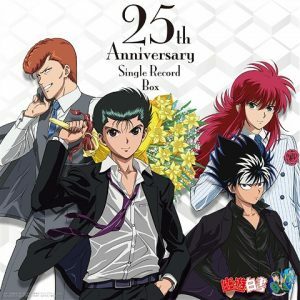 Even though the anime was made in 2018, Banana Fish’s legacy extends a little further back than that. The original manga was written way back in 1985. This might explain the extremely goofy names of its American characters that can only be explained if the original author read the works of C.S. Lewis thought those were still current English names. 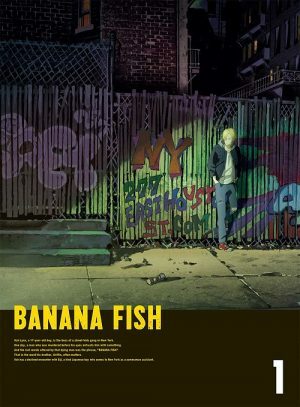 However, disregarding that, Banana Fish’s legacy extends far beyond silly names and is an intense crime thriller that would get Richard Castle hot and bothered. 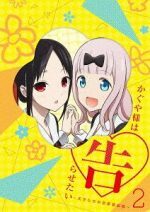 Ultimately, when an anime is made to take place in the US, it’s done as a reflection of Japan’s own society. 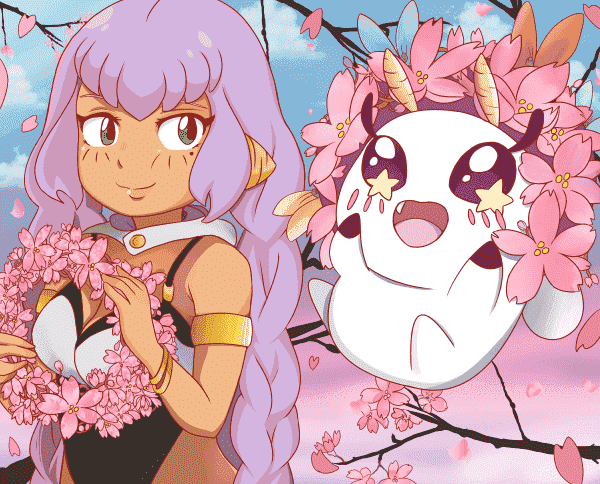 It allows Japanese animators and storytellers to tackle subjects that they may not be able to get away with if they brought it up in Japan, or they can use it to emphasize Japan’s newly found global focus. Did we miss anything? Have your own suggestions on the list? Amused by Japanglish interpretations of Western culture? Please let us know in the comments below! 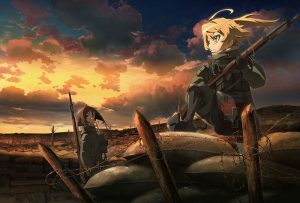 As you may have guessed these ten unique anime are all set in the U.S.A. Now, I say they’re unique, but there’s really a caveat to that adjective. They’re probably only unique to you if you’re an American. That’s because they all are Japanese depictions of how American society functions and how its citizens behave. Though they are entertaining, they also give a bit of insight as to who America is seen by non-western countries. Not all of these try to depict typical human interactions in the U.S. 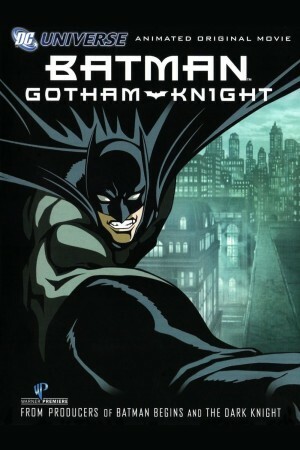 Some of them are anime versions of typical American genres such as the Old West with cowboys or superhero fiction where the hero fights criminals and supervillains. Still others take a great narrative and use America as a setting to enhance the story overall. There’s a good variety of shows on this list. Some of them have a more stereotypical anime feel when it comes to execution. Others definitely feel heavily influenced by western storytelling and character prototypes. So, take a look at these recommendations and start with the one that piques your interest most. Joey is a young boy living in Center City. He is always bullied by some of the rich kids at school. He works a part-time job to support his grandmother, who he lives with. One day, some students are playing with a Heybo (a new robotic toy), but it is run over by a car when they lose control of it. Joey then takes it home, tries to put it back together and affectionately names it “Heroman”. One night Heroman is hit by a strange bolt of lightning. The storm was caused by the arrival of an alien race called the Skrugg, entering Earth’s atmosphere. 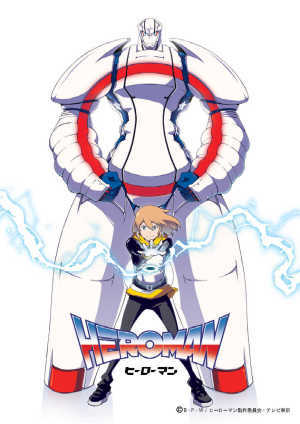 Heroman transforms into a giant version of itself with colors from the U.S. flag emblazoned on it. Now, it’s up to Joey, Heroman, and his friends to stand up against the invasion of the Skrugg. The story centers on four female students from an elite school in New York City. Clare, Kate, Rachel, and Rose pretty much have nothing in common except that they’re all friends of another girl named Lisa. The school is in disarray after learning that Lisa had committed suicide the night before. Classes are canceled and the students return home, all except the four girls. Unfortunately, they have no memory of the night before. On top of that, they see visions of ghostly red butterflies. Each of them follows these visions and eventually they meet up at a scary park at night. There they encounter a strange man and woman who are able to shed a bit of light on the events of the previous night. The four girls find out that they were actually all murdered the night before. The only reason they are “alive” now is because they have been cursed to find and kill zombie-like creatures. If they don’t work together and fight this threat, their bodies will deteriorate and their new lives will be taken away from them forever. Forty years ago some drastic event happened that wiped all of the memories of the inhabitants of Paradigm City. Since then, people have been living in a haze of confusion with no memories of anything before the event or any hope for their future. 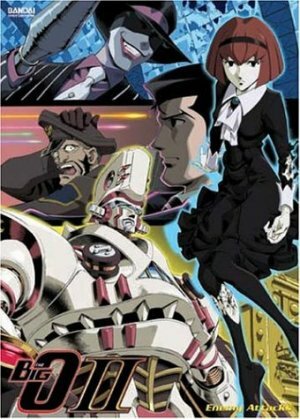 Professional “negotiator” Roger Smith, along with Norman, Dorothy, and his giant mecha Big O, take on the responsibility of keeping the city safe. 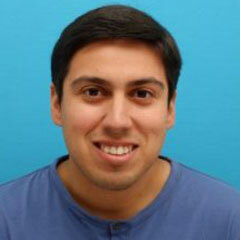 He is hired to investigate various activities throughout the city’s slums involving gangs and criminals. 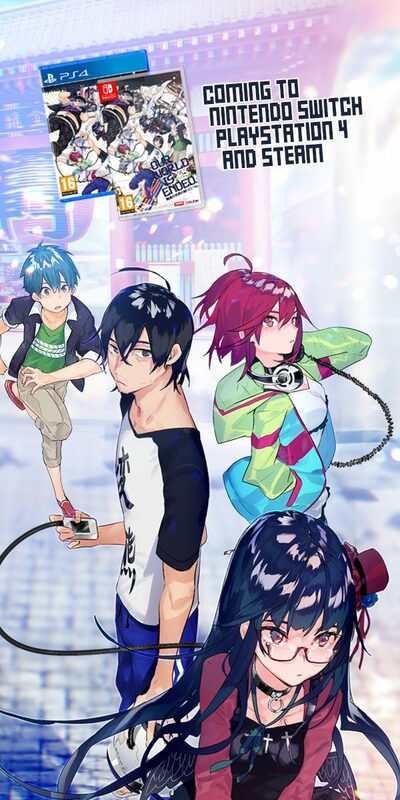 But, as tensions continue to rise and violent actions breakout throughout the city, it’s up to Smith’s group to uncover the past and lead the people of Paradigm into a brighter future. 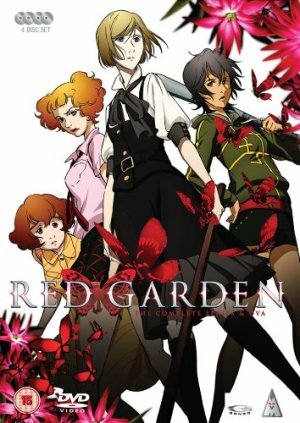 Three captivating stories are intertwined in this mafia-themed anime set in Chicago during the 1930’s. Weaving throughout all three are Isaac and Mira. 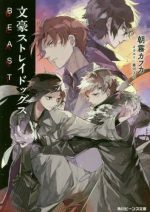 Two thieves who interact with the large cast of characters, create bonds, and undergo experiences that the viewer tries to make sense of in this time shifting anime thriller. All three stories are told from different perspectives. Also, each story has a mostly different cast of characters. So, it definitely benefits you to pay close attention to the story arcs. Otherwise, you may miss out on some subtle but key elements of the narrative. The first story focuses on the mafia and alchemists working together to create an elixir that gives its user immortality. The second is set during the first transcontinental journey of the Flying Pussyfoot. Things seem cheerful and full of hope for the people onboard the train until a robbery occurs and a massacre ensues. The last tale revolves around Eve Genoad’s search of her brother Dallas. During her journey, she becomes entangled in a turf war between two feuding families. Tragedy strikes New York City as it is destroyed in a single night and immediately filled with monsters that have arrived from another dimension. A barrier is created to keep the monsters and the people from escaping. Curiously enough, it doesn’t stop people from entering. 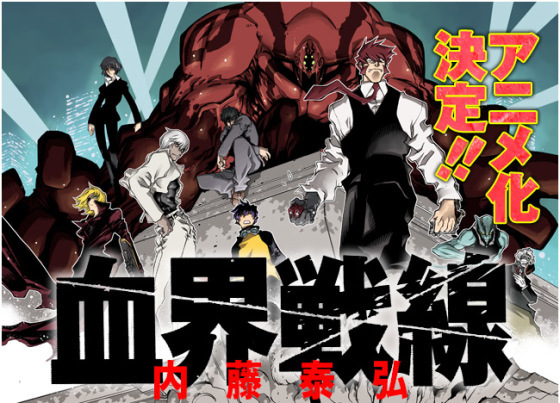 Blood Blockade Battlefront, or B3, is an on-going manga that will receive its anime adaptation this upcoming spring. 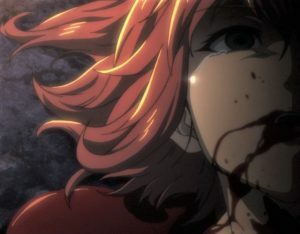 The manga has a long build up with attention placed on developing this unique world, the type of monsters that have crossed over, and their interaction with humans. 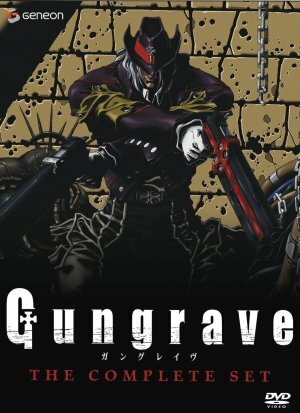 This series was made by the creator of Trigun, so it has similar character development and pacing. Not much has been revealed about the anime adaptation, but check it out if you’re a fan of Yasuhiro Nightow. The show begins with the reveal of a character called “Beyond the Grave”. He was created as the perfect killing machine. Grave is intent on destroying Millenion and killing a man named Harry MacDowell. The story then shifts to the past. “Grave” was once a regular man. His name was Brandon Heat and he was actually best friends with Harry. But, after a tragic incident they are forced into joining the city’s biggest crime syndicate, Millenion. From there, the story follows Harry’s rise through the ranks of Millenion. All the while, Brandon stays by his side as a loyal companion. However, something will happen that will ultimately create a rift between the two and turn Brandon into the revenge-seeking monster he is today. This isn’t your typical pet shop with puppies, goldfish, and hamsters. Count D’s shop contains rare and exotic animals. It attracts the kind of customers who would do anything to take these one of a kind pets home. And, he happily obliges. The customers take their “lovable” pets home after signing a contract with Count D. The terms of which state that he cannot be held accountable for anything that may happen should a customer break the stipulations of said contract. Of course, some customers don’t take the warning to heart and accidents occur. Fatal accidents. Cue in homicide detective Leon Orcot. He is investigating these deaths. He discovers a common link among all the cases: Count D’s Pet Shop. Leon is determined to find out what exactly happened to these people and what are the motives behind the pet shop owner’s actions. Demonic forces are on the rise in New York City. The only organization capable of fighting this threat is the Magdalene Order. The story follows two of the most powerful members of the organization. 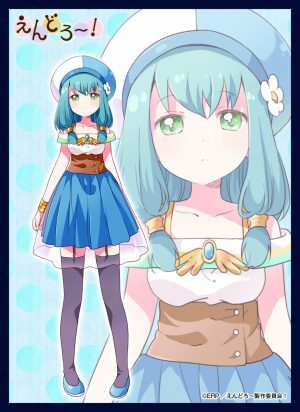 Rosette Christopher is our main protagonist. She is a 16-year-old exorcist who goes on missions to fight and exorcise the demons throughout the city. Though she dutifully follows the organization’s orders, her main focus is on finding her lost brother Joshua. He was kidnapped by a demon named Aion. 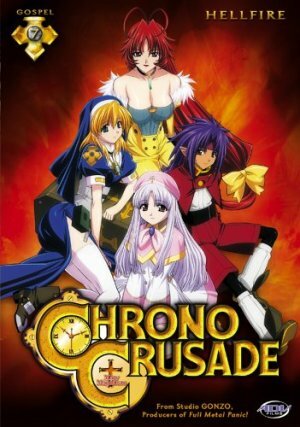 Chrono is the second protagonist and Rosette’s partner. He is a demon with the ability to change his appearance into three different forms. Though he seems gentle, he is actually in a constant struggle with his demonic nature. Together, they fight against the forces of evil. But, while they’re battling the demonic threat, some dark secrets from their past also begin to surface. 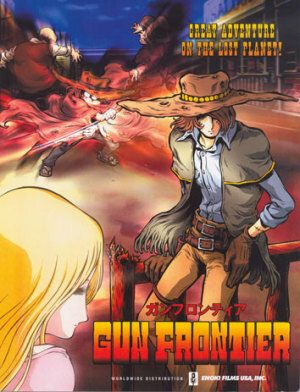 The Gun Frontier is a barren wasteland located in the Western frontier of the United States. The harsh elements and the treacherous landscape are the breeding grounds for tall tales and legends. It is a place where the minds and wills of men are tested to their limit. In a town called Samurai Creek, a clan of Japanese immigrants were massacred. Only a few managed to survive. Tochiro Oyama is one of those survivors. Captain Harlock is Tochiro’s faithful companion. He owes Tochiro his life so he tries to repay by helping his friend search for the remaining survivors of the Japanese clan. In particular, they are looking for the samurai’s sister, rumored to still be alive. 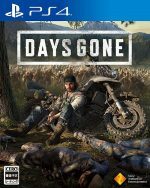 Throughout their search of the wasteland they come across bandits, corrupt officials, and find an ally in a mysterious woman who seems to carry a dark secret. This animated movie contains six short stories. 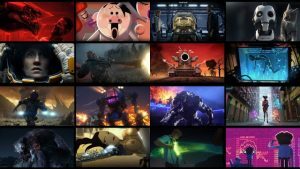 Each animated short was created by a different Japanese animation studio. So, even though they all have a unique artistic style, they create a somewhat cohesive anthology that bridges the gap between Nolan’s Batman Begins and The Dark Knight. Every story covers a different facet of the Batman mythos. They touch on how he deals with pain, the types of gadgets in his arsenal, and his rogues gallery. Batman early on in his career as a crime fighter, so it’s nice to see his struggles fleshed out a bit. 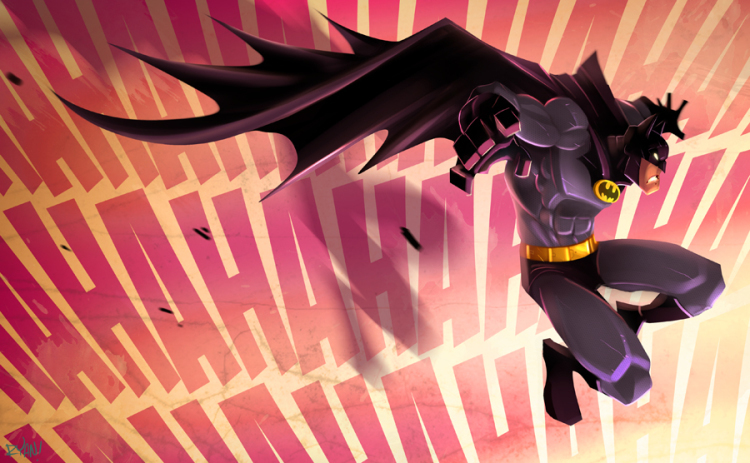 It makes his eventual rise as a the true champion of Gotham that much more rewarding. Superheroes, mysteries, demons, gunslingers, monsters… this list has so many options for you. Take in this mix of American and Japanese cultures. 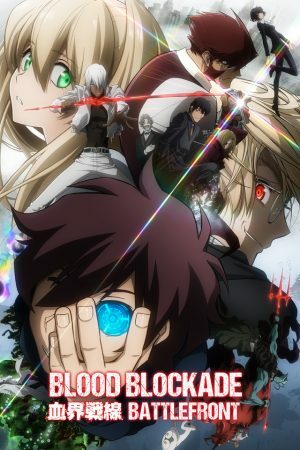 Then, keep an eye out for Blood Blockade Battlefront this spring!